Real Madrid regained confidence with a 3-1 win against Real Sociedad, thanks to a brace from Cristiano Ronaldo and a goal from Lucas Vazquez. 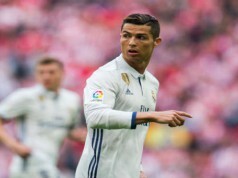 Los Blancos were weak in defense and came close to dropping two points as the visitors put them in serious trouble, but Ronaldo rescued the team with a great performance – despite missing a first half penalty. Rafa Benitez men had two early chances to take the lead. The first came on the break as Bale sent the ball into the path of Ronaldo, whose effort was denied by Rulli. 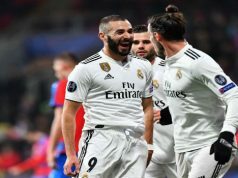 The goalkeeper kept his team in it again moments later when Benzema rattled a low strike too close to the stopper. The visitors also had their chances. Inigo Martinez met a cross in a corner kick but his connection was not the best, and it bounced wide. Two minutes later, Agirretxe got rid of Marcelo and Nacho far too easily inside the area, but Navas was quickly off his line to save his team. Los Merengues missed a big chance to take the lead before the half-hour mark. Martinez bumped into Benzema inside the box and the referee called the penalty. 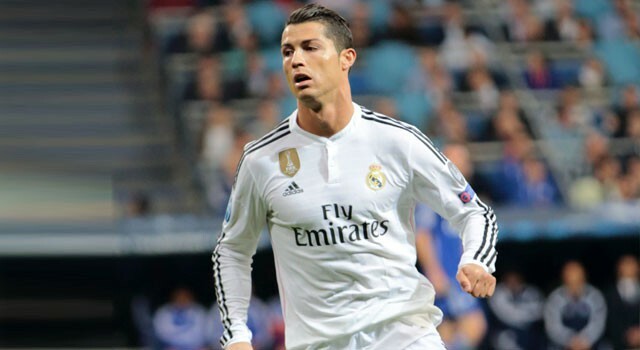 However, Ronaldo, who had scored 100% of his penalties this season, sent his effort over the crossbar. Yet, the Portugal international redeemed himself just before the break. The referee pointed to the spot as a cross from Bale hit the leg of Yuri and bounced up against his arm. Ronaldo planted it right into the corner beyond the despairing dive of Rulli. Real Sociedad levelled at the start of the second half as Jonathas brushed off Pepe and found an unmarked Bruma, who curled one into the top corner. The Basques had an incredible opportunity to complete their comeback following some terrible defending from Madrid. Bruma was allowed clean through on goal but Navas smothered the ball at the midfielder’s feet. In the next play, the hosts regained the lead as Ronaldo caught a corner delivery on the volley beautifully, guiding a low finish beyond Rulli and into the bottom-left corner. Real Sociedad could have levelled as Carlos Martinez and Vela combined to find Pardo, but the Spaniard dragged his effort a few yards wide of the far post. 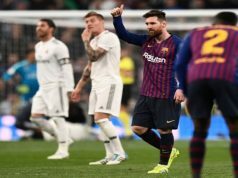 Los Blancos sealed the victory with five minutes to go hitting their rival on the break. Bale found Lucas Vazquez with a beauty of a cross and the youngster sent it under the keeper to make it 3-1.